Please note label and holder may vary. 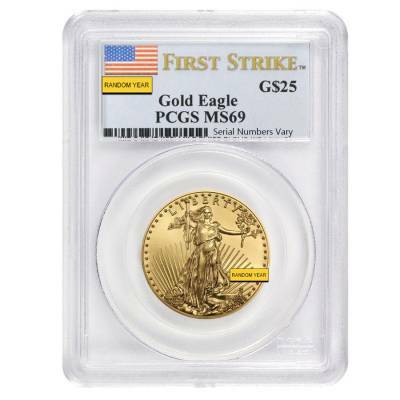 We're happy to offer this 1/2 oz $25 Gold American Eagle PCGS MS 69 (Random Year) here at Bullion Exchanges. 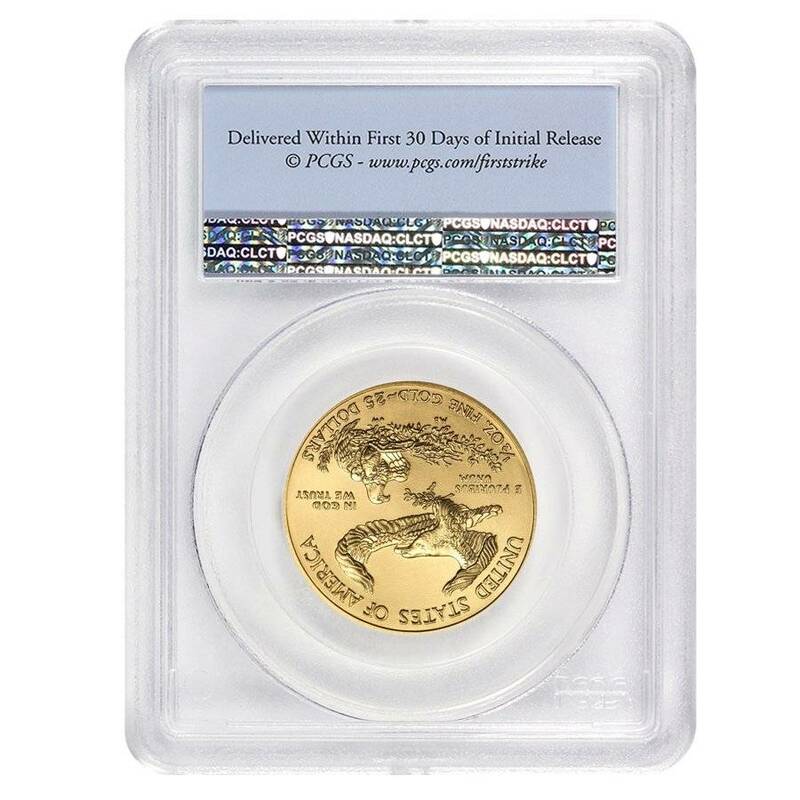 This coin is graded by PCGS as Mint State 69. The obverse features Lady Liberty, holding a torch and olive branch in her right and left hand respectively. The background shows the Capitol building along with the suns' rays. 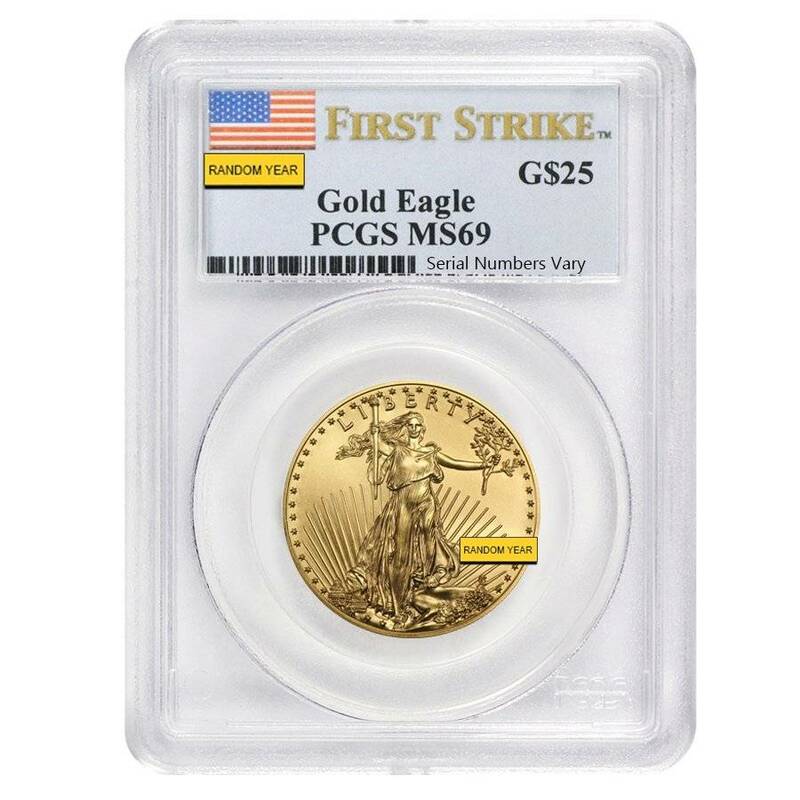 Inscriptions include "LIBERTY" and the year of mintage. The reverse displays a male eagle in flight while the female eagle tends to their hatchlings. Inscriptions include "UNITED STATES OF AMERICA," "IN GOD WE TRUST," "E PLURIBUS UNUM," along with the denomination and weight. If you have any questions or concerns, please contact our customer service representatives. For every $1 spend, you will earn 1 Bullionaire Buck which is equivalent to $0.001 off a future purchase. 678 BB = $0.68.